The Edge has an edge on much of the competition in the midsize SUV class. It offers advanced safety technology, modern design, and excellent performance to form a well-rounded SUV capable of holding its own. We think a well-equipped Edge offers an excellent alternative to even many of the “luxury” midsize crossovers. The premium trimmed Ford Edge offers an excellent alternative to many of the premium and some of the luxury branded SUVs. You can buy a fully loaded Edge Sport with advanced safety technology and performance that exceeds the BMW X5 for over ten thousand less. While it's not quite as refined as the Bimmer, it comes close. To get an X5 that will beat the Edge Sport to sixty, you would have to shell out thirty thousand more dollars! The Edge Sport offers exceptional value when compared with some of the heavyweights in the midsize SUV lineup. The Edge offers class-leading performance in the top-trimmed Sport with a twin turbo 2.7 liter V6. The 2.0L EcoBoost and 3.5 Liter models aren’t slow either. This SUV does an excellent job of balancing a comfortable cabin with exhilarating athletic attributes. The Sport model does zero to sixty in just 5.6 seconds and runs a quarter mile in just 14 seconds. These are class leading numbers! The Edge also offers excellent driving dynamics that are enhanced by the sport tuned suspension. The Edge will never leave you desiring power. The ride remains quiet and comfortable despite excellent handling. If you’re looking for a high performing SUV with a premium vibe, the Edge should make your short list. The Edge has matured the most inside. The last generation’s interior left a lot to be desired. There were copious amounts of hard plastic and cheap materials. That’s not the case anymore. Now those surfaces receive stitched leather and soft touch surfaces. The design flows better throughout. The seats are excellent, especially those with leather. The driving position is comfortable and provides outstanding vision. The second row provides ample room for adults. With the seats folded, there are an available 73.4 cubic feet of space. Access is easiest with the optional hands-free liftgate that activates with a simple wave of the foot beneath the bumper. The SYNC infotainment functions well, but we’d opt for the SYNC 3 system as it allows you to stream popular apps and is best paired with the upgraded Sony audio system. We think this interior will help improve Ford’s reputation and help them compete with the “premium” branded SUVs. The Edge is one of best looking midsize SUVs on the market. It was redesigned in 2015 to appeal to more upscale buyers. As a result, the ford receives stylish sheet metal fitted with modern LED lighting, including LED running lights galore in top trims. The Edge features a wide, athletic stance with a low roofline for an aggressive appearance. The large aluminum wheels augment the look without being overly distracting. The modern LED taillights on the rear are some of the best we’ve seen. The roof spoiler and dual exhaust tips further enhance the performance oriented design. We are impressed with the Edge’s looks, but that’s up for you to decide. Please let us know what you think! The Ford Edge receives a 5-star overall rating from the National Highway Traffic Safety Administration and only misses a perfect score by a single star, with 4-star rollover rating. The Insurance Institute for Highway safety offers a rating of “good” in all but the “small front overlap” test, in which the Edge received an “acceptable” rating. Like the smaller Escape, the crash test reveals a design flaw that allows the head to move between the airbags into a gap, reducing the efficacy of the airbags. It’s worth noting that this is probably only a problem at a very specific angle of collision but is disconcerting nonetheless. The top trims are available with an abundance of driver assistance features that improve the safety profile of the Ford Edge. These combined with great brakes and handling will reduce the likelihood you’re involved in an accident. If you are, a standard feature automatically calls emergency services in the event of a collision, saving precious time in life threatening situations. 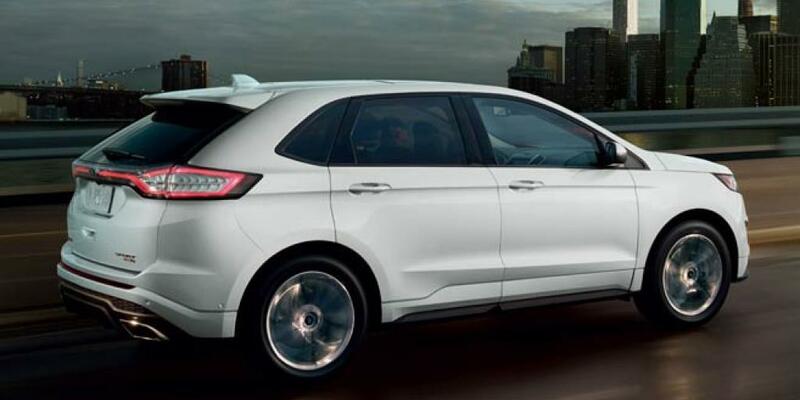 We think the Ford Edge has safety characteristics of the average SUV in the midsize class. JD Power gives the Edge a 3.5 out of 5 predicted reliability rating, indicating an edge on most vehicles in the reliability category. JD Power notes there has been two NHTSA recalls for the 2017 model, some 84 Edges equipped with sunroofs have a structural integrity failure. The second is for a side airbag inflator module. Both can be remedied at a local Ford dealer free of charge. Consumer Reports awards the Edge a 3 out of 5 reliability rating. The reliability of the Edge has steadily increased but there are some known issues of which you should be made aware. 2007-2015 AWD Edges have a faulty PTU that is prone to failure. PTU stands for Power Transfer Unit, it’s attached to the transmission and is responsible for powering the back wheels in AWD models. This is a rather serious problem that can cost around $2,000 dollars. There’s currently a large class action lawsuit for this issue. We’d recommend avoiding AWD models before year 2016. 2014 and earlier models also had a hard shifting transmission so be sure to have a qualified mechanic check yours out if you’re buying used as transmission replacement can be very expensive. The SYNC system in these models randomly disconnected phones as well but the problem has been resolved and your Ford dealer will update the software for free. All Edges have an overall low number of Technical Service Bulletins issued by the National Highway Traffic Safety Administration. Unfortunately, some are rather serious like the PTU problem mentioned above. The last two year models have less than ten, which is unusual and indicates above average reliability. We would recommend only the most recent model years on account of their much improved reliability. The Nissan Murano is positioned quite like the Ford Edge. It’s a midsize crossover that forgoes the third row and focuses on providing a comfortable cabin that feels premium when compared with the class. The Murano’s NASA-inspired “Zero Gravity” seats may be even better! Second-row space is sufficient for three adults, and there’s a little less cargo room when compared to the Edge. Like the SYNC 3, the NissanConnect infotainment system is intuitive and has streaming app and Bluetooth connectivity. Bonus points to the Nissan for including Apple Carplay for 2017 models. The Murano is also available with an “AroundView” camera that makes parking easier and you’ll probably need it! The Murano’s curvy design creates several blind spots where there is normally visibility. While the many available safety features make it livable, it doesn’t do a great job of replacing good ole line of sight. Meanwhile, the Edge can park itself. The Ford definitely wins the battle of the backup cameras. While the Edge prioritizes athletic handling and performance, the Murano chooses comfort. The ride quality is quiet and composed and the CVT delivers power smoothly. The 3.5 Liter V6 adds plenty of pep when you need it. These two SUVs couldn’t handle more differently. While the Edge’s steering is sharp and body roll is minimal, the Murano’s steering feel is vague and the body bobs and rolls in corners. The Murano’s softer ride offers superior comfort when driven leisurely. The Murano’s better reliability reputation may make it a more practical choice for some and we’d rather have it than the base Edge SE. Once you start adding options, however, the Ford is by far the better SUV for your money. The base SE trim has an MSRP of $28,950 and includes standard 18” aluminum wheels, Ford SYNC infotainment system with audio input jack, cargo management system, intelligent access with push-button start, leather-wrapped shift knob, smart charging USB port, blind spot monitoring mirrors, dual exhaust tips, tinted windows, rearview camera, and LED taillamps. All-wheel-drive is available for $1,495. The SEL trim starts at $31,790 and adds upgraded cloth seats, dual-zone climate control, LED signature lighting, upgraded engine, different 18in wheels, power adjustable front seats, EasyFold second row release, SiriusXM radio, leather-wrapped steering wheel with additional controls, auto-dimming rearview mirror, reverse sensing system, upgraded mirrors, and keyless entry pad. A 3.5 Liter engine with variable cam timing is available for $625, as is all-wheel-drive for $1,495. The 301A Equipment group adds voice-activated navigation, cross-traffic alert, remote start system, auto-dimming mirrors, 110V power outlet, perforated leather-trimmed seats, heated and cooled front seats, heated rear seats, and panoramic sunroof for $3,645. 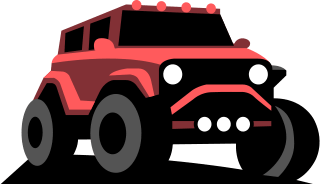 The 302A Equipment Group includes the 301A group plus active park assist system, front 180-degreee camera, lane keep system, inflatable rear safety belts, HID headlamps, and rain sensing wipers for $5,495. A Driver’s Package for $1,800 equips adaptive cruise control, forward collision warning with automatic braking, and adaptive steering. The $1,495 Technology Package adds a blindspot information system, remote start system, auto-dimming mirrors, and a 110V converter outlet. Most of these options are available individually as well on SEL and Titanium trims. The Titanium trim arrives generously equipped at $35,600 with 19in nickel-plated aluminum wheels, heated front seats, driver seat memory function, leather-trimmed seats, SYNC 3 infotainment system, Sony 12-speaker audio system, ambient lighting, universal garage opener, memory mirrors, hands-free liftgate, two driver-configurable 4.2in LCD displays in guage cluster, 2 smart charging USB ports, illuminated door sills, and LED taillamps with light bar. All-wheel-drive is available for $1,495. The 301A Equipment group adds voice-activated navigation, cross-traffic alert, remote start system, auto-dimming mirrors, 110V power outlet, perforated leather-trimmed seats, heated and cooled front seats, heated rear seats, and panoramic sunroof for $3,645. The 302A Equipment Group includes the 301A group plus active park assist system, front 180-degreee camera, lane keep system, inflatable rear safety belts, HID headlamps, and rain sensing wipers for $5,495. A Driver’s Package for $1,800 equips adaptive cruise control, forward collision warning with automatic braking, and adaptive steering. The $1,495 Technology Package adds a blindspot information system, remote start system, auto-dimming mirrors, and a 110V converter outlet. Finally the top trimmed Sport model costs $40,400 and provides, intelligent all-wheel-drive, adaptive steering, sport tuned suspension, a 2.7 Liter EcoBoost engine, 20” wheels, leather-trimmed seats with suede inserts, premium pedals, an upgraded black grille, unique headlamp appearance treatment, unique front and rear fascia, and trapezoidal dual exhaust tips. The $1,495 Technology Package adds a blindspot information system, remote start system, auto-dimming mirrors, and a 110V converter outlet. The 401A Equipment Group costs $3,345 and furnishes a remote start system, lane keep system, voice-activated navigation, heated and cooled front seats, heated rear outboard seats, enhanced active park assist, front 180 degree camera, HID projector headlamps with auto high beams, 110V power outlet, and rain-sensing wipers.